PS What kind of a prick says I am “passionate about LGBT-plus rights”? LGBT-plus!!! 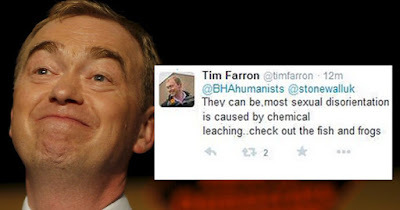 Update: Tim Farron apologises for tweet from his account saying gays can be 'cured', Mirror.